As a first-generation born American, Beeraj Patel understands the comprehensive needs and concerns you likely have about relocating to Chantilly, VA. To begin with, the immigration legal hurdles can be complicated and, even once you are well on your way to legal residency status, moving to a new country can be very difficult without a strong local support system. Fortunately, Mr. Patel can both help you jump through the legal hurdles and connect you with Chantilly’s resources that will support your transition. Although the United States recognizes that it has a large gap in STEM (science, technology, engineering, and math) talent, the immigration policy is very restrictive. Each year, more and more people apply for a visa or Green Card in Chantilly, but the few spots remain stagnant. Navigating this immigration process is complicated and requires significant knowledge. Beeraj Patel, Esq. has over a decade of experience practicing immigration law in the Chantilly, VA area and will work hard to ensure the best results possible. There are several ways to obtain legal status in Chantilly, VA, but some means are better than others depending on your unique circumstances. From the beginning, Beeraj Patel will help advise you on the best path given your situation and objectives. Mr. Patel has extensive experience with H-1B visas, EB-5 investor visas, and student visas (J-1 and F-1). In fact, he has handled over 1000 H-1B cases and over 500 PERM Labor Certification cases. Whether you are a student, an employee, an investor, or a Chantilly-area employer, Mr. Patel can handle all of the legal details while you focus on setting goals and objectives for your new life in Chantilly. See the full-range of services offered by Bareej Patel. Once the best path or paths to Chantilly, VA have been identified, the complicated process of timely complying with the visa or Green Card application requirements and pushing it through the local court systems begins. Don’t harm your chances of obtaining immigrant status. Rely on an immigration attorney like Bareej Patel who has extensive experience with both the application process and the court system for the Chantilly area. After jumping through all of the legal hurdles, your next challenge is to connect with local resources in Chantilly, VA that will support you both during and after your transition. 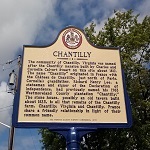 Chantilly, which has a foreign-born population of 22.2% according to City-Data.com, has a lot to offer to recent immigrants. For example, the Chantilly Family Practice Center offers medical services specific to the local immigrant community, and Asha-Joythi is a Chantilly non-profit with the mission to bring awareness to the unmet need of Indian immigrants for a safety net in the event of a medical crisis. In addition, the English as a Second Language and Immigrant Ministries provides a range of support, including local English classes. A good local immigration attorney can connect you to Chantilly’s vast support resources to jump-start your new life in Chantilly. Take advantage of Beeraj Patel’s immigration knowledge and experience to help make your move to Chantilly, VA as smooth as possible. KPPB Law offers immigration services in English, Hindi, Gujarati, and Spanish and is ready to talk to you today. Simply fill out the contact form or call 703-594-4040 to schedule a consultation.